Helping families find the most qualified and experienced Babynurses. to discuss how we can assist your growing family! A Babynurse will take care of everything concerning the care of newborns. Babynurses have a deep understanding of the developmental stages of newborns. Most Babynurses are not Registered Nurses (RN’s) or Licensed Practical Nurses (LPN’s). Most have taken courses to stay current with the latest newborn philosophies and standards, and are CPR certified. The length of a Babynurse stay is usually between 1 and 6 months, but is negotiable depending upon the needs of the family. Babynurses will take special care of your newborn and you! DO I NEED A BABYNURSE? Will I need rest after giving birth? 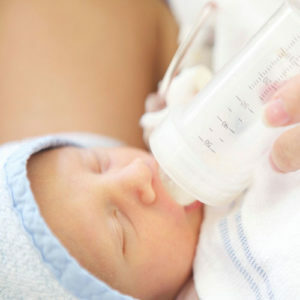 Will I need help with breastfeeding and/or pumping? Could I use some help establishing a schedule for my baby? Will an extra pair of hands make me feel more secure? Will having someone experienced in umbilical cord care and circumcision care be of value to me? Any time after the first trimester, the sooner the better. Some Babynurses go to the hospital and accompany the “family” home, or just welcome you at your home upon your return from the hospital. Some babynurses assist the family with preparations including nursery set up. Babynurses base their rate on 22 hour days. Contact us for rates and further info. After our original hire from another source did not provide the reliable assistance we needed, we reached out to Seth. He went above and beyond, making himself available at all hours. His team was able to successfully procure a top-notch baby nurse for our family within a few days. I can’t thank them enough for all their help during this special time in our lives! Having our first child was one of the most incredible yet challenging times in our lives. After putting off the search, I finally reached out to various agencies recommended to me but upon connecting with Seth at Pavillion, felt an immediate connection. The apprehension I had disappeared minutes into the conversation as he gently helped me focus on what I wanted and what was realistic for our home. B changed our lives the moment we met her and will forever be apart of our lives. Thank you Seth for introducing us to B! My wife and I were extremely impressed. To be honest, I was blown away! She is absolutely wonderful! She has extensive experience, and keeps up on the latest information. She demonstrated CPR techniques, and a strong foundation in pediatric medical knowledge. I was particularly impressed with her knowledge of infant viral illnesses, and found her very informative. Most importantly, she instantly clicked with my wife. Seth Greenberg at Pavillion Agency was the consummate professional in our search for a baby nurse. He was attentive during every step of the process and matched us with a wonderful baby nurse within a short amount of time. She surpassed every expectation we had for the role and was so incredible that we used her for all three of our children. We highly recommend Pavillion Agency and Seth! The best in the business! I've been a baby nurse for over twenty years and have been with Pavillion agency for the past several years. Working with Seth Greenberg is a comfort to the heart. He's not an agent that’s concerned about just money but truly cares about both his nurses and the family. Once placed on a job, he calls and checks in with the nurse and family just to make sure everyone is comfortable and happy. I've worked with different agencies in the past, leaving them all, but am very happy with Mr. Greenberg. When you are in a profession you love and have support from your agent, boss etc., it makes leaving your family and going to work very easy. It's like you never leave your loved ones because working for Seth is FAMILY. I have worked with Seth Greenberg at Pavillion Agency for many years. His level of professionalism as well as his commitment to the best outcome possible is second to none. I can depend on Seth to do exactly what he says he will do and he always makes me feel at ease. The knowledge he has along with years of experience make him a pleasure to work with and I can't thank him enough for his help throughout my career as a Baby Nurse in NYC. I've been a babynurse with Pavillion Agency for a number of years, what sets Pavillion above the rest is the person leading the babynurse department none other than Seth Norman Greenberg. 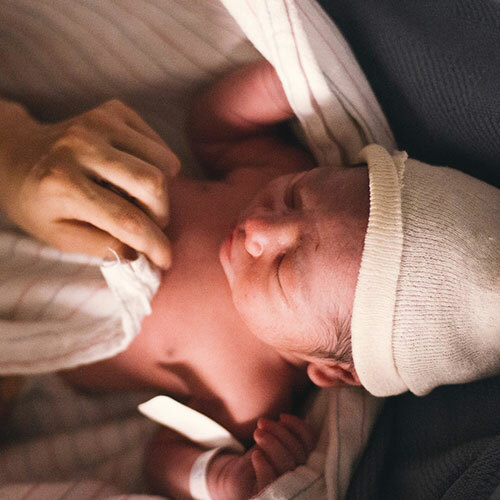 Seth identifies the best candidates to fit each of his client's needs whether it's a lactation specialist or if the mother is going through postpartum or even if the mom has a C-section. Seth makes sure the nurses understand it's not just the babies sometimes the mom's needs a little TLC too! I've been with other agencies and they're not that caring, Seth will text or email the moms to make sure she and her bundle of joy are doing well. Seth is very professional and a pleasure to work with. Click below to download our free printable resources on everything from creating a birth plan to creating an employment agreement. If your family is looking to find and hire a qualified Babynurse consider working with a Babynurse agency like Pavillion Agency Inc. Get started by sending us a request. Are you expecting a baby? What is your due date? Looking for a Babynurse Position?